Trade, Immigration, and the Revolt Against Globalization. Last week, Jack Goldsmith got on the phone with Pulitzer Prize-winning Washington Post journalist Greg Miller to discuss Miller’s new book, “The Apprentice: Trump, Russia and the Subversion of American Democracy.” Miller’s book chronicles Russia’s efforts to interfere in the 2016 U.S. presidential election and the interactions among members of the Trump campaign, transition, and administration, and officials and representatives of the Russian government. The Hoover Institution hosted "Security by the Book with John J. Mearsheimer" on Tuesday, October 9, 2018 from 5:30pm - 6:30pm EST. Tim Maurer discusses his new book, Cyber Mercenaries: The State, Hackers and Power, an exploration of the intersection between cyberspace and geopolitics. Hoover Institution fellows Jack Goldsmith and Niall Ferguson sit down for a discussion on the history of social networks. Hoover Institution fellow Jack Goldsmith interviews Amy Chua concerning her recent book Political Tribes. Benjamin Wittes, cochair of the Hoover Institution's Working Group on National Security, Technology, and Law, joined author Susan Landau, author of Listening In: Cybersecurity in an Insecure Age, for a book discussion. 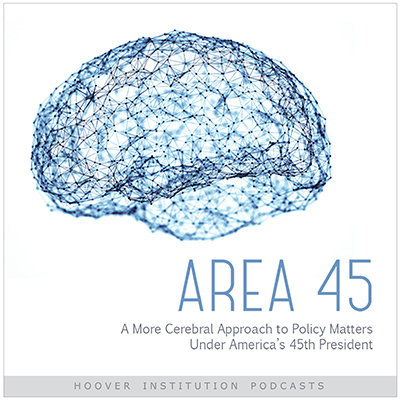 Interviews are conducted by Jack Goldsmith or Benjamin Wittes, the cochairs of Hoover’s Working Group on National Security, Technology, and Law, and take place before a live audience.